You've heard all about it in the news -- vaping and juuling are on the rise among teenagers. But what exactly is vaping vs. juuling and how do e-cigarettes fit? 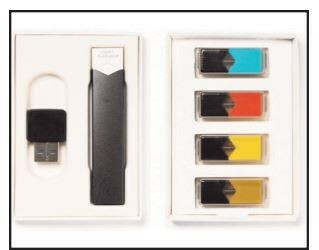 They are all considered Electronic Nicotine Delivery Systems (ENDS) and they have become increasingly popular among young people in the last ten years. 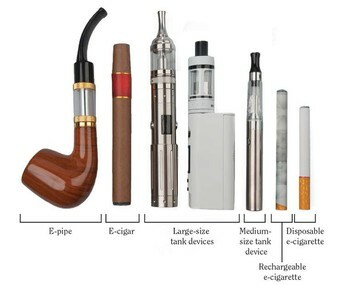 These devices have many names: e-cigarettes, e-cigs, cigalikes, vaporizers, vape pens, e-hookahs, tanks, and mods. In 2017, e-cigarettes were the most commonly used tobacco product among high school students (11.7%), followed by cigars (7.7%), and cigarettes (7.6%) (CDC, 2018). The use of these products may result in a new generation of young people developing nicotine addiction and its associated health risks. Vaping is the act of inhaling vapor produced by a vaporizer or electronic cigarette. The vapor is produced from a material such as a liquid or concentrate. A vaporizer is an electric device that turns vaping material into vapor. A vaporizer usually consists of a battery, main console or housing, cartridges and an atomizer or cartomizer. 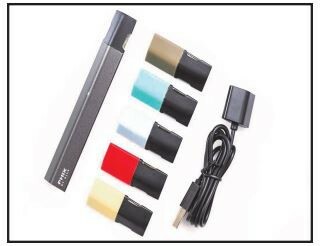 The battery generates the power for the heating element in the atomizer or cartomizer, which contacts the vaping material and transforms it into vapor for inhalation. 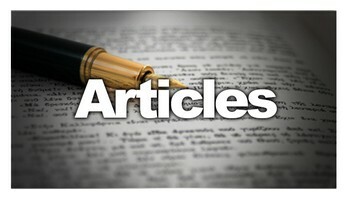 E-juice is the primary material used in vaporizers. It usually contains propylene glycol, vegetable glycerin, flavoring and may or may not contain nicotine. Nicotine -- the addictive chemical in tobacco and a major component in the e-cigarette liquid. Most ENDS contain nicotine; some contain the same amount per puff as traditional cigarettes. However, nicotine content tends to vary widely. Brands like JUUL began using nicotine salts, which allow users to inhale large levels of nicotine more easily and with less irritation (CDC, 2018). Humectants -- substances that help create aerosol when heated, giving ENDS the ability to mimic cigarette smoke. The smoke is made up of propylene glycol and glycerol. Long term exposure to these substances along with dozens of other chemicals that are often not listed on labels can be toxic. Flavorings -- additives that come in more than 7000 flavors. Many of the flavors are safe when added to food products but can cause problems with breathing when inhaled. Metals -- residue from coils used to heat up the e-juice as well as other parts of the device can leak into the aerosol that is inhaled by the user. Chromium, nickel, lead, manganese, aluminum, tin and iron have been detected in ENDS aerosols. Easy to "hack" -- take apart and fill cartridge with other substances such as marijuana oil. How Do Kids Get Them? Look for patterns. Is your child coming home from school and going right into their bathroom? Take a quick survey of their personal items. Do you see anything unusual? Empty pods, chargers that don't belong, or unusual devices? Teens have to charge electronics -- pay attention to what they're charging. Are they hiding it? Are they taking it to the bathroom with them? Pay attention to certain smells and behaviors mentioned. Stay vigilant in your home, in the car, when picking them up from school and when they're with friends. Stay informed on the most current vaping devices and lingo. The more you know, the more empowered you are to talk to your child. Talk to your teens -- chances are some of them have something to tell you. Be honest about your concerns about vaping, the harm it can do, and the consequences that can occur if they are caught with one. Hopewell Valley Regional School District and the Hopewell Valley Municipal Alliance are proud to announce that on Thursday, March 28th at 7pm in the CHS PAC, we will be hosting a community discussion about vaping, JUULING and e-cigarettes. There will be a presentation by Kevin R.J. Schroth, Esq., Associate Professor, Social and Behavioral Health Sciences at Rutgers School of Public Health and a panel discussion with Dr. Robert Helmrich of Princeton Nassau Pediatrics, TMS Administration, CHS Administration and CHS Alum. You will learn more about this dangerous and growing trend and the impact it has on adolescent health. If you have any questions, please contact the Hopewell Valley Municipal Alliance at 609-537-0242. We hope to see you there!! 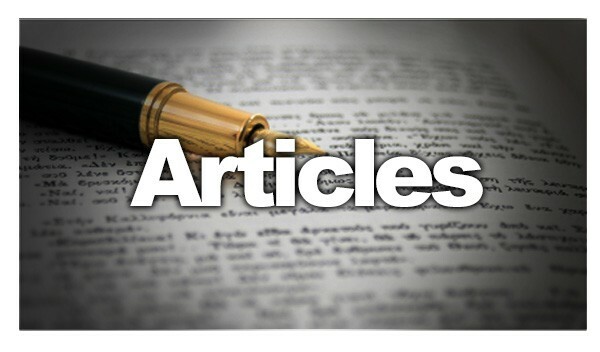 Know the facts: Get credible information about e-cigarettes and young people here. It's OK for your conversation to take place over time, in bits and pieces. Children watch their parents very closely and model their behavior. Local Scholarships applications for seniors are available here. The deadline for submitting applications is March 15th at 3pm. 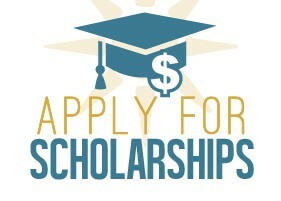 Please have your senior apply for the scholarships that are most suitable. Writing the College Essay night. CHS PAC at 7:00pm. Students should attend with parents. Local Scholarship applications due to Ms. Kuschyk in the Counseling office. Google form must be submitted by 3pm. THERE WILL BE NO EXCEPTIONS TO THIS DEADLINE. Deadline for colleges to notify students of admission acceptance. Gap Year Presentation -- For juniors and seniors and their parents. Holly Bull, President of the Center for Interim Programs will explain what a Gap Year is and how to take one. CHS Media Center at 7pm.